I played a small all commons tournament and went 2-0 with a bye. I really enjoyed playing the team, and I'd like to try and update it for normal play. The way I've played it is to buy as many Beasts as I can early, ramping with Professor X as often as possible, and ideally purchasing a Hulk on turn 3 while proceeding to set up Magneto. Human Paladin is primarily there to take care of Distraction, which was the biggest problem I encountered. Mr. Fantastic, Red Dragon, and Professor X are all used for their globals, though Mr Fantastic was sometimes bought when I ran out of Beast die. The biggest issue I ran into was not rolling masks, which is an admittedly pretty substantial flaw. In some cases, I had to use Red Dragon to purchase Magic Missile dice. For changes, I'm thinking the first step is switching out Jade Giant for Green Goliath, and Goddess of the Plains for African Priestess, which is essentially having Storm and Hulk swap rolls with each other. I've also considered replacing Storm with Psylocke: Kwannon the Assassin, but that would further fuel my mask deficit. I was also looking at one of the Gelatinous Cube cards to replace Storm for consistent removal through capture alongside Hulk. After that, I'm not entirely sure how to proceed. I've contemplated the idea of replacing Red Dragon with the rare Blue Eyes White Dragon to field sidekicks a bit more confidently and to (ideally) constantly cycle Storm to put dice back in my opponent's used pile. 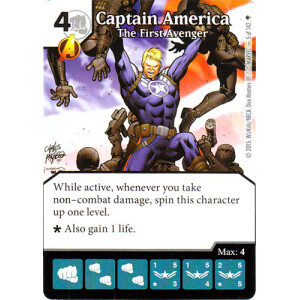 I feel like Magneto can be swapped out for a card that can suitably pair up with Hulk for a win. I was looking at Nova: The Human Rocket, but... is that too gross and unfair? Captain America: The First Avenger was suggested to me tonight as a common replacement, and it's appealing as a 4-cost non-mask. I've also contemplated Sabretooth: Something to Prove, as I don't have to take damage to pump it up. I couldn't seem to find anything especially similar to the role that Magneto fills in terms of combat damage. His stat line isn't stellar, but he serves as a constant threat, particularly with Anger Issues being purchased on the cheap with Red Dragon. Opinions? Any glaring flaws someone would like to point out? Oh I didnt read that. He needs magic missile to ping hulk. He doesnt have any other globals or characters to ping him. Besides with GG he can just attack after wiping the board with Magneto. If he hits for 3 with Jocasta it just procs Hulk again and gives the possibility of KO'ing her along with the board. Instead of storm go for the millennium puzzle since you're using that Red Dragon. I was looking at Nova: The Human Rocket, but... is that too gross and unfair? I think swap Mister Fanatic for Wasp, who would discourage use of your PXG - Keep in Human Paladin to stop Magento from being Distracted back and swap Magic Missile for Dimension Door to make Magneto unblockable with or with anger issues and Leave Red Dragon in, because you dont need to cycle characters, and PXG should help you get up to enough dice that rolling their full value isnt that hard. Dude go for the Human Rocket. It's a serious burn card. It's in my main team if I plan on competing at the high level. Competitive are made to be unfair and scary. The faster you beat your opponents the better in your chances at getting first place. Really depends on your style. My decks are slow, steady and efficient. If your style is beat them in the face, stick with your Magneto team. Switch out that Mr. Fantastic for Wasp - Founding Avenger. Provides another global to Ping Hulk and abuses your opponent on using both yours and their globals. Beast.....Id say Constantine - Hellblazer. If you want to smash, Tsarina. Or Black Widow - Natasha. Provides those cheap masks and you can churn her. If not Magneto, the Human Rocket is another way to go. If I'm adding Nova to replace Magneto, then I think I have to take out Mr Fantastic in favor of Wasp: Founding Avenger. And if that's the case, then Beast also needs to go in favor of a different two-drop. Tsarina and Hellblazer seem like the most obvious choices, but I'd like to avoid using either of them. I don't have it right now, but adding Millenium Puzzle in favor of Storm seems like an interesting alternative, especially with Angel! I need to change out Angel and Anger Issues. Neither of them ever get used or purchased. Any recommendations on either account? Anger Issues then makes sense. Board Wipe with Hulk then swing with Hulk and everyone. If Nova isnt working out a friend of mine used with Hulk plus Kobolds. Hurts very much. Blue Eyes white Dragon came into play knocking out his Kobolds and re-fielding.